Recently I’ve been hesitating to feature certain artists’ work because though I’ve had them in my queue for quite sometime, I suddenly starting seeing their work popping up all over other blog sites. And the last thing I want to do is seem like a copycat. But then I said to myself, Artsy Forager, why should you let that stop you from featuring talent that inspires you? I answered, I shouldn’t. Simple as that. Case in point, Berlin photographer Matthias Heiderich. Heiderich has over ten series of images showcased on his website and any one of them are beautiful enough to be featured. But I’m currently in love with his most recent series, Spektrum Eins, so this post is full of his signature architectural loveliness. He is a master at finding the most interesting buildings and composing their intersecting angles and colors into striking, graphic compositions. His compositions are so simple yet so crisp, his colors so bright and bold. The architectural forms take a backseat to line, color and shape. Each photo is a celebration of simplicity. To see more of Matthias Heiderich’s work please visit his website ( and I highly recommend you do! ). All images are via the artist’s website. Though our time in the cities we visited on our cross-country tour was short, we managed to hit a couple of wonderful, yet very different museums along the way. 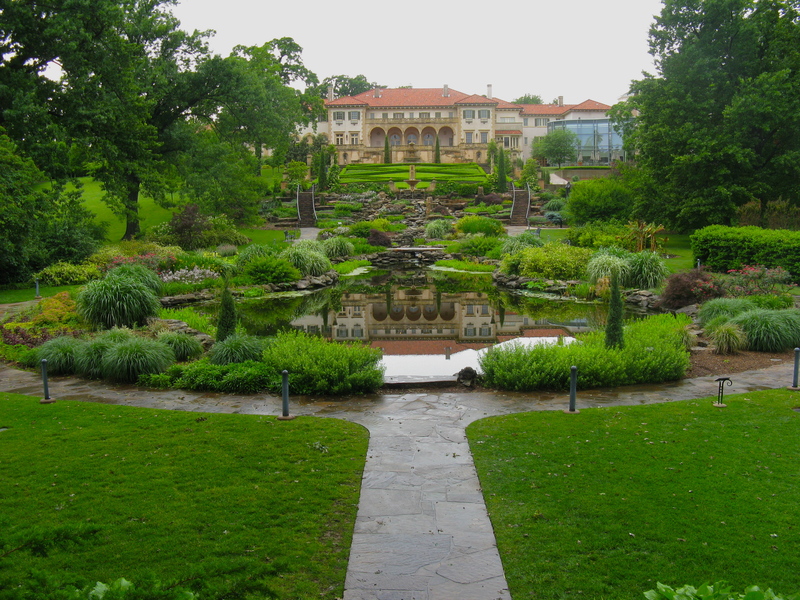 In Tulsa, we spent a few hours exploring the Philbrook Museum of Art. 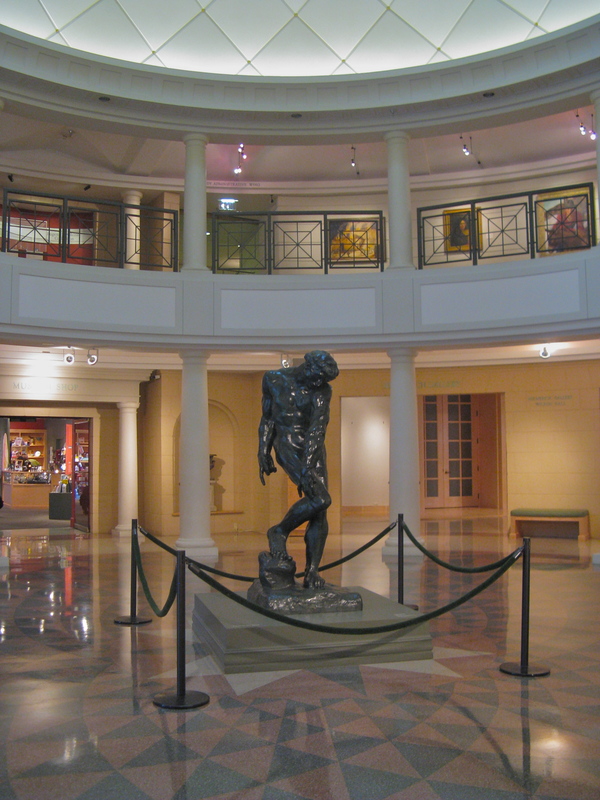 My Jacksonville readers will be familiar with the Cummer Museum of Art in Jax. 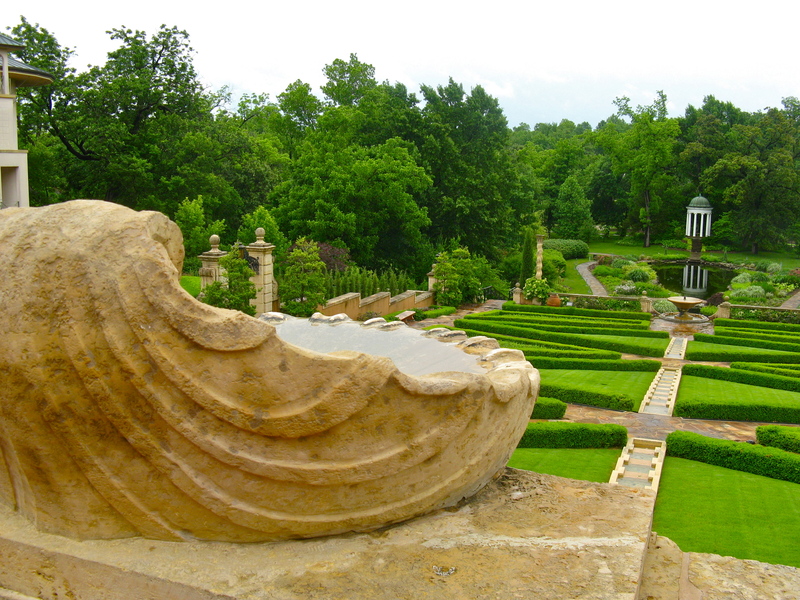 The Philbrook is, to me, like the Cummer on steroids. 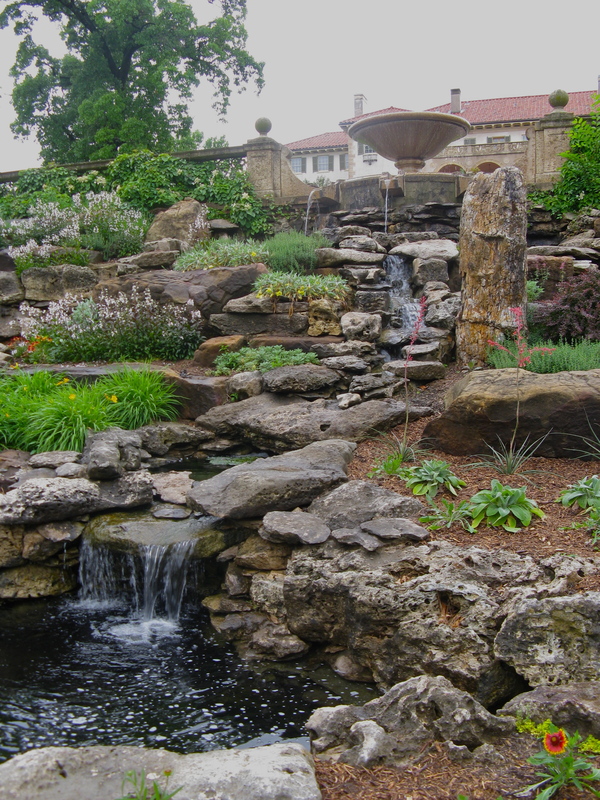 Like the Cummer, the Philbrook was once a private residence, which was donated to the city of Tulsa by its owners, oilman Waite Phillips and his wife Genevieve. 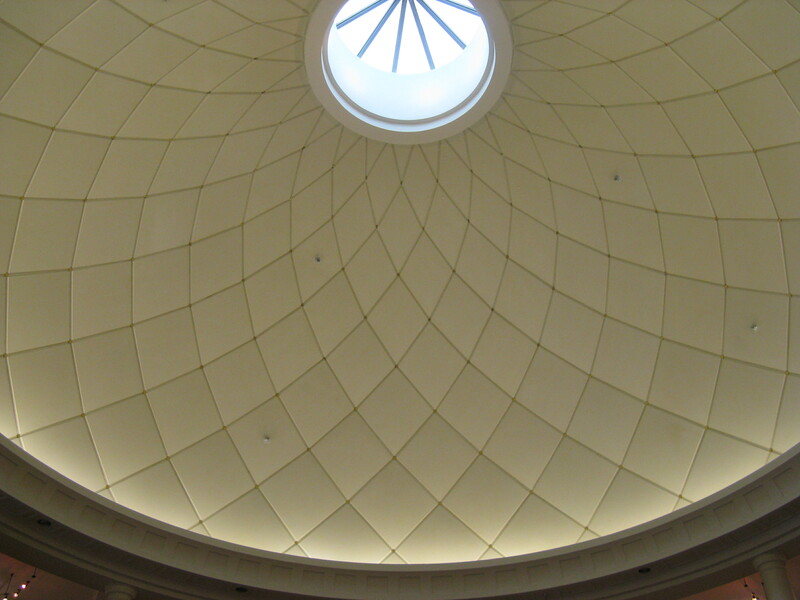 Once we entered the museum doors, we found ourselves in a gorgeous, domed center hall, light streaming through the oculus in the center of the dome. 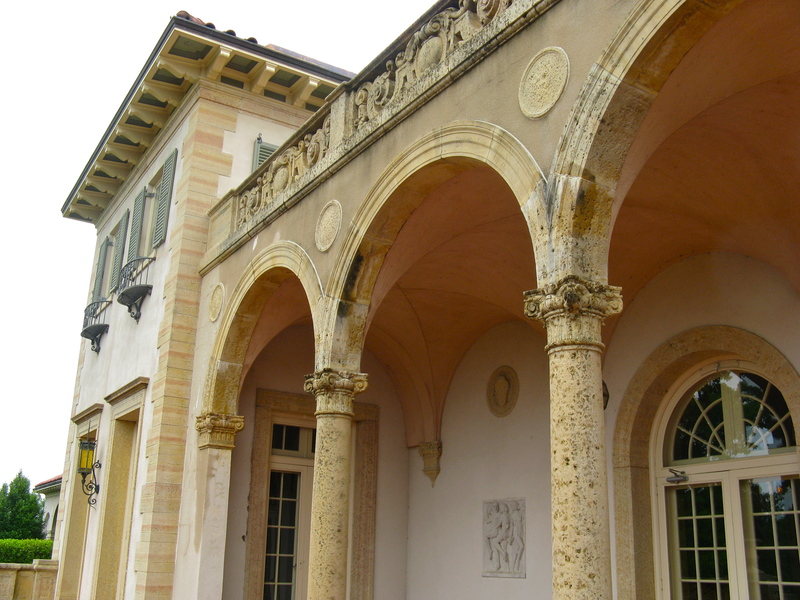 Just walking the halls of this Renaissance style villa, built in 1927 and designed by architect Edward Buehler Delk for the Phillips as “a place where there two children could entertain friends” ( Imagine the sleepovers you could have! ), is a pleasure in itself. 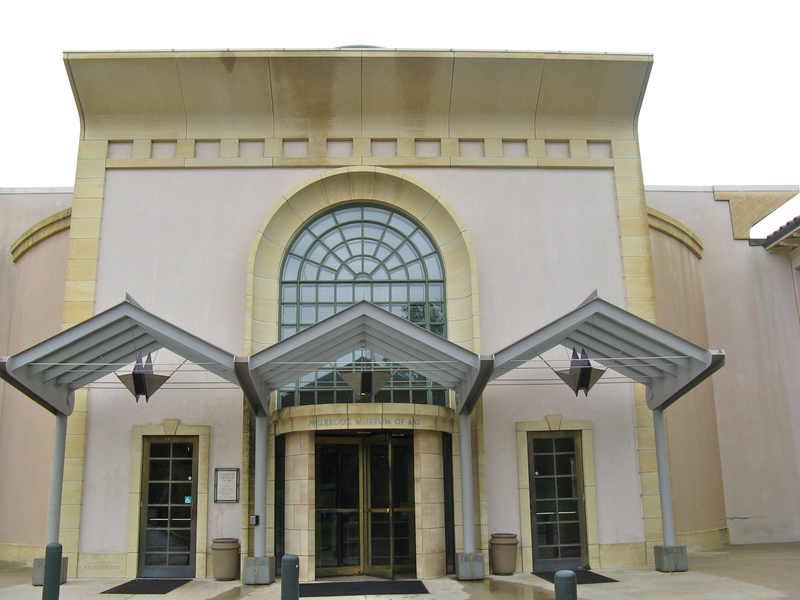 The museum houses a varied and extensive permanent collection of art, ranging from African & Asian collections, Native American art to Italian Renaissance and a surprising and delightful modern collection. 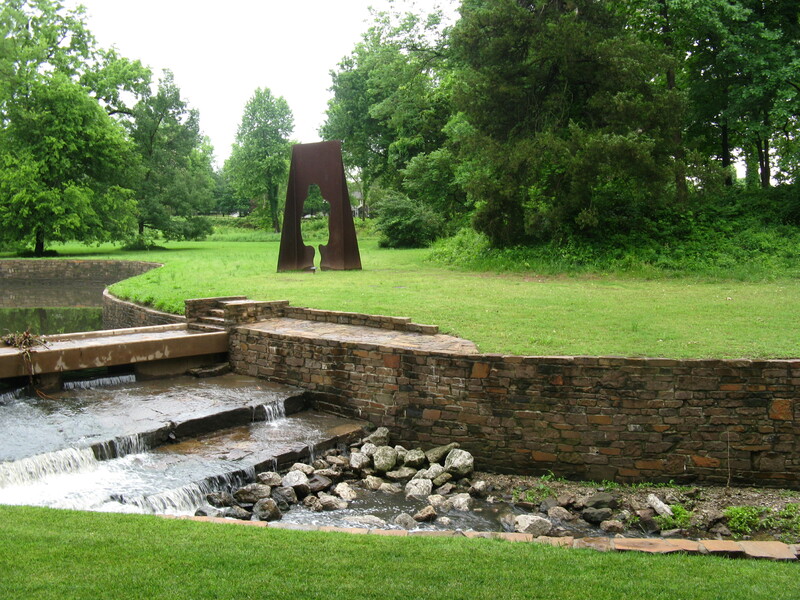 While the museum collections are enjoyable, it is the museum grounds that really steal the show. 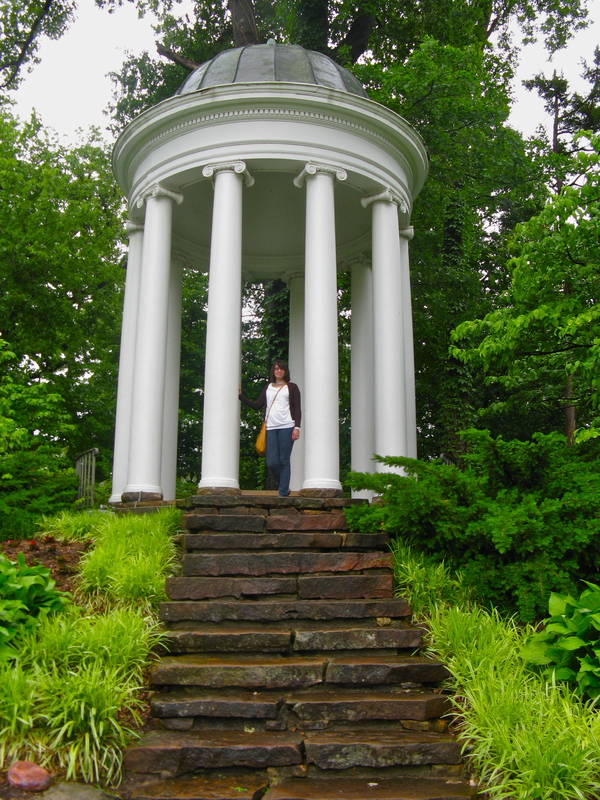 Though we visited on a gray and rainy day, it didn’t stop us from exploring the extensive gardens behind the museum. 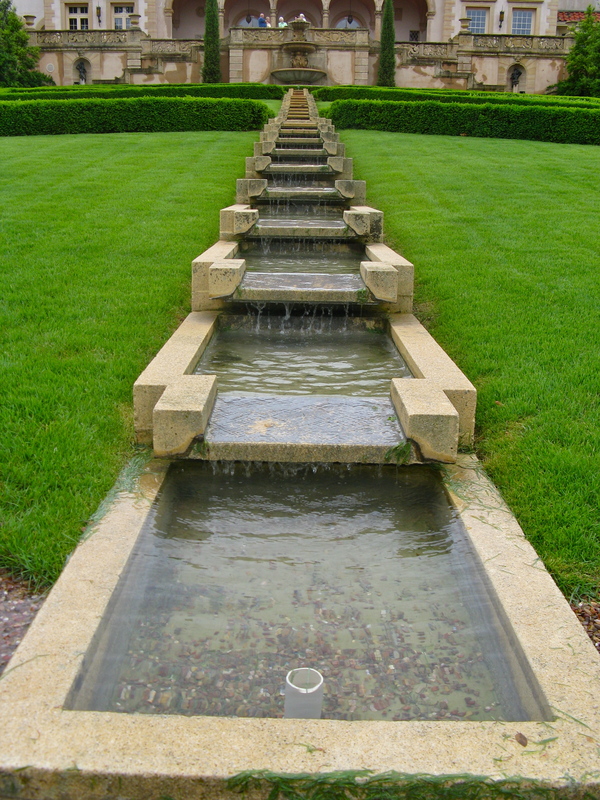 The original formal gardens extend from the rear colonnade of the museum down to the tempietto. 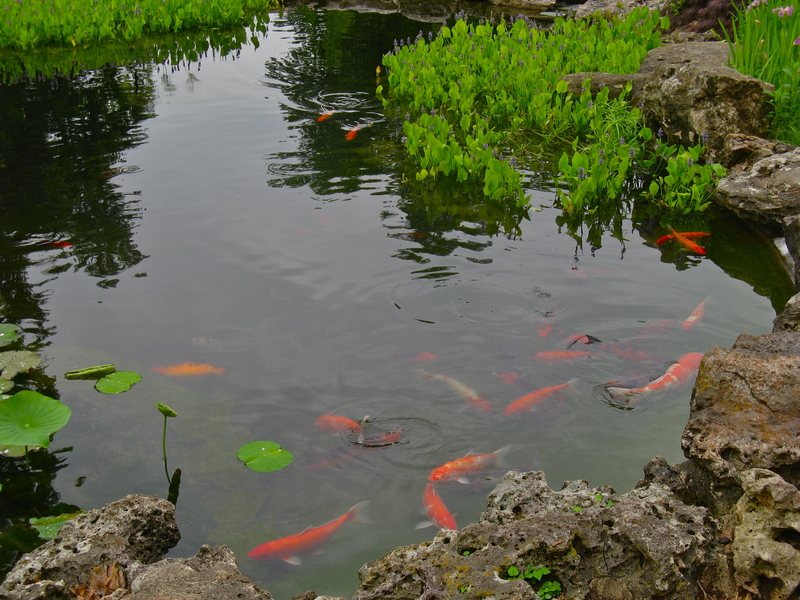 Let’s take a little walking tour..
No formal garden is complete without a koi pond! Let’s switch gears now, fast-forward through another 12 hour day on the road and pay a little visit to Denver. While in the mile-high city, we spent some time downtown including a tour through the Denver Art Museum. 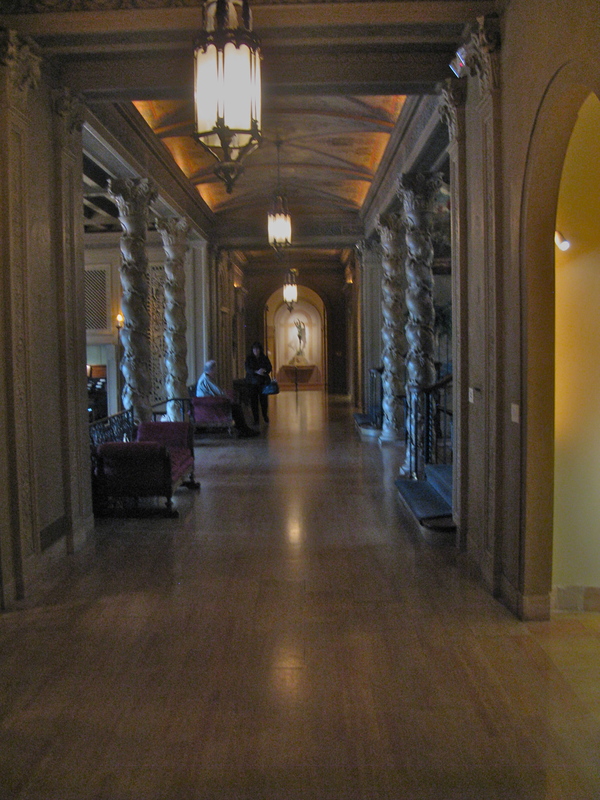 While the Philbrook is classically ornate, the DAM’s Hamilton Building, where we spent our time, is splendidly contemporary. 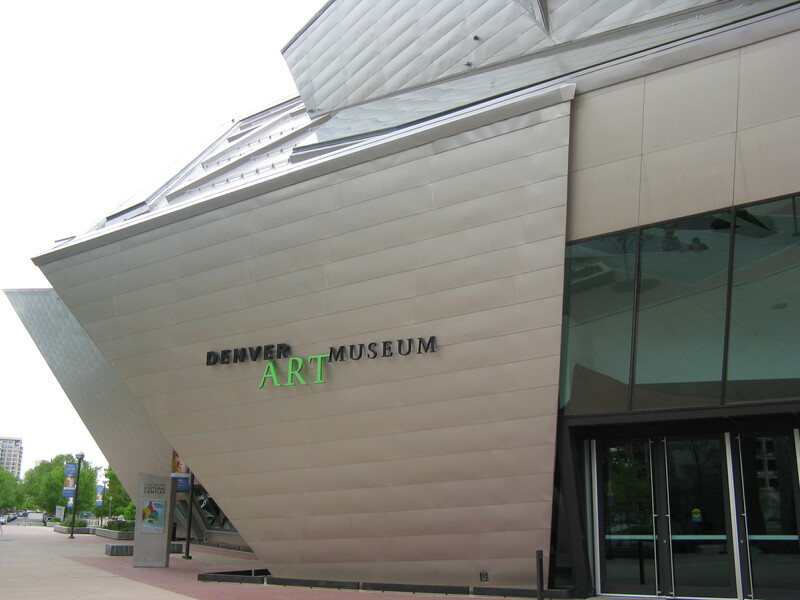 Designed by Daniel Lubeskind, the structure represents the Rocky Mountain peaks surrounding Denver. We started at the top and worked our way down, discovering lots of fun & interesting contemporary work along the way. 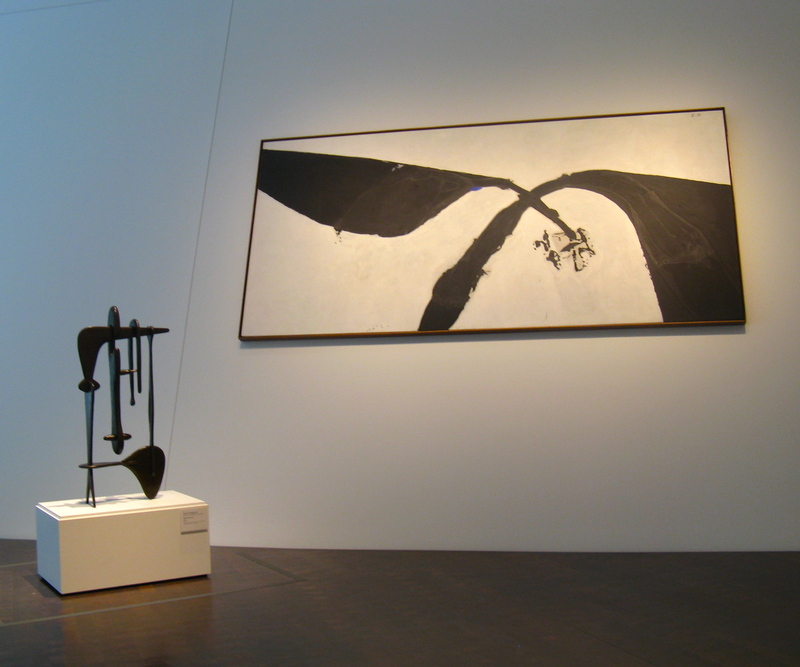 Noguchi sculpture and Motherwell painting **Sidenote: Motherwell was born in Aberdeen, WA, the town where we are living for the summer. Did you notice in the pictures above how the walls are slanted? 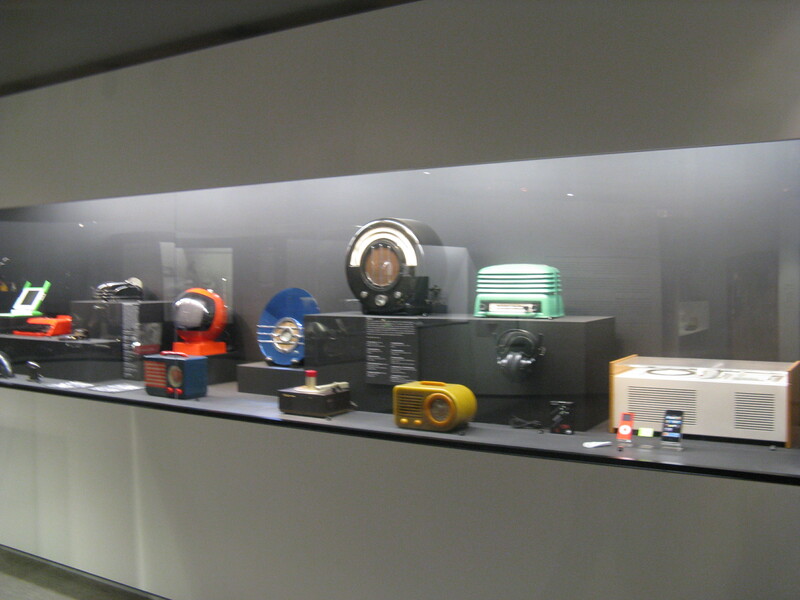 The angled walls created a very interesting visual space, especially in the 4th floor gallery where they were prominent. They were a bit disconcerting when walking down the main stairs, though! 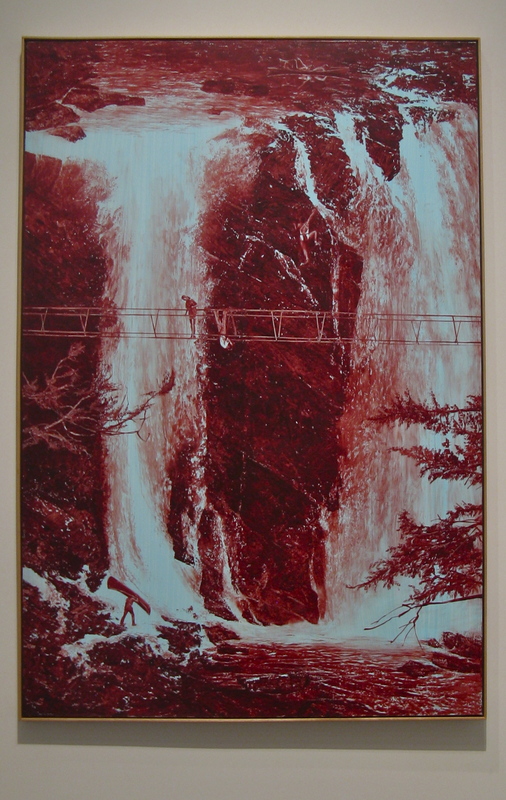 We were all fascinated by the piece above, by Mark Tansey. 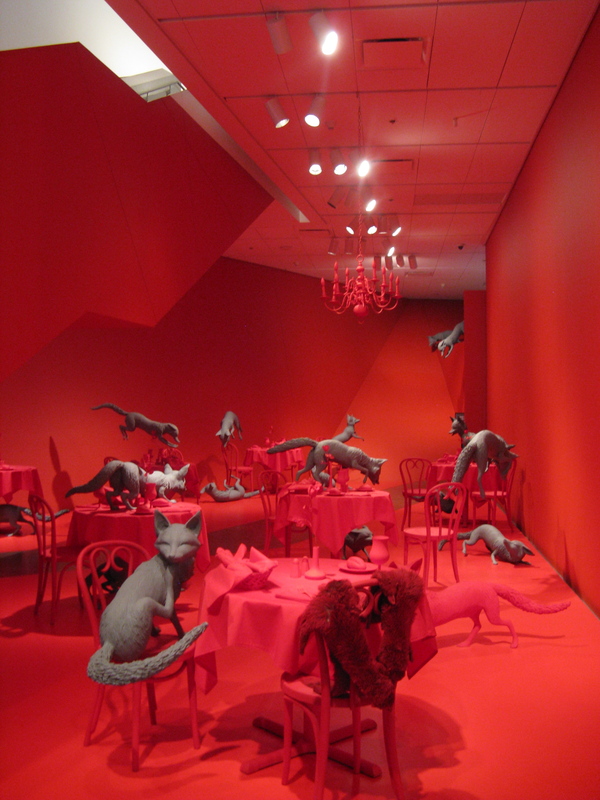 Another highlight was the Fox Games installation by Sandy Skoglund. 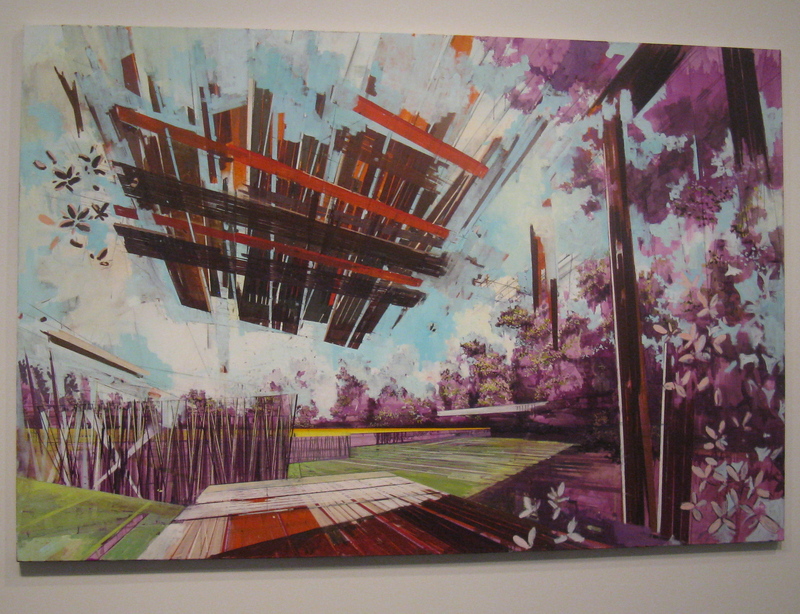 I first saw Skoglund’s work in Jacksonville and am always fascinated by the environments she creates. 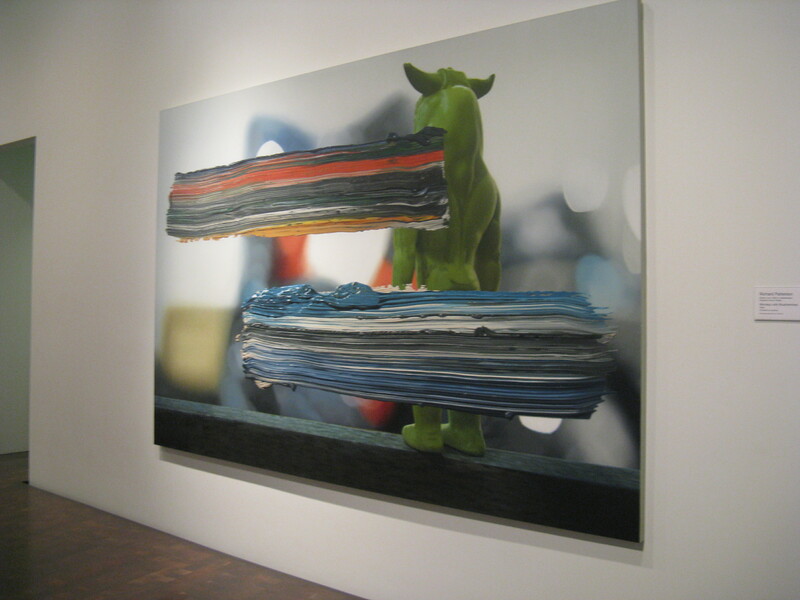 And there was just something about “Minotaur with Brushstrokes” that appealed to us. What can I say, we like work that makes us smile. Speaking of making us smile, George & I also loved the piece below, although I’m sad to report that I don’t recall the name of the artist. But it reminded me of spring in the Northwest. Kicking myself for not writing down the title & artist for this piece! Anyone have any clues? The museum also boasts an impressive Western American Art Collection, as well as African, American Indian, Oceanic, Pre-Columbian and Spanish Colonial Collections. 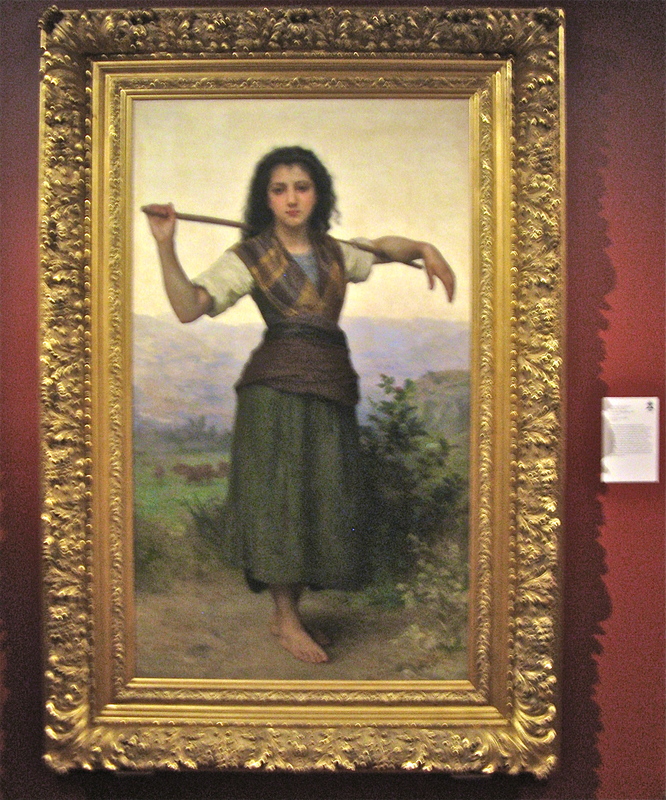 We toured through the current special exhibition, Cities of Splendor: A Journey Through Renaissance Italy, but alas, no photography allowed in the exhibit, so you’ll have to check out the DAM website for a taste. As you can see, our art experiences on this trip were widely varied and we are looking forward to more such experiences here in the Northwest. In my daily reading of Artinfo.com this morning I came across two articles, seemingly unrelated, until the Facebook comments regarding one of the articles tied them together for me. The first article, found here, poses the question, “Should Gaudi’s Sagrada Familia Remain Unfinished?” The Barcelona basilica, begun in 1882 by renown artist-architect Antonio Gaudi is still under construction eighty-five years following the architect’s death. Though Gaudi left plaster models and drawings, many of his notes were destroyed during the Spanish Civil War, leaving his vision open to interpretation by current sculptors, architects and designers. While some critics feel the current direction doesn’t jive with Gaudi’s original vision, even during his lifetime, there were many sculptors working on the basilica. Like any monumental undertaking, “it takes a village” to bring Gaudi’s creation to life. Should Gaudi’s original design be so open to interpretation? He gave artistic license to those working under him while alive, would he so object to modern interpretations now being imposed? Unlike other types of sculpture, cathedrals are often the product of centuries worth of work by multiple architects, artists and craftsman. As Gaudi was aware he would not be alive to see it to completion, wouldn’t he have known his original design would be open to interpretation by those who came after him? Does the fact that Gaudi is not here to personally oversee the work negate the additions? Artists using apprentices and assistants is nothing new. The art world of the Renaissance era, which produced such celebrated masters as Michelangelo and DaVinci was built upon the concept of apprenticeship. But what about now? The second article I read this morning was regarding the approval of a Dale Chihuly museum at the site of a former amusement park in downtown Seattle ( now the Seattle Center ). The museum in itself is the subject of controversy, but that isn’t what I’d like to address here. 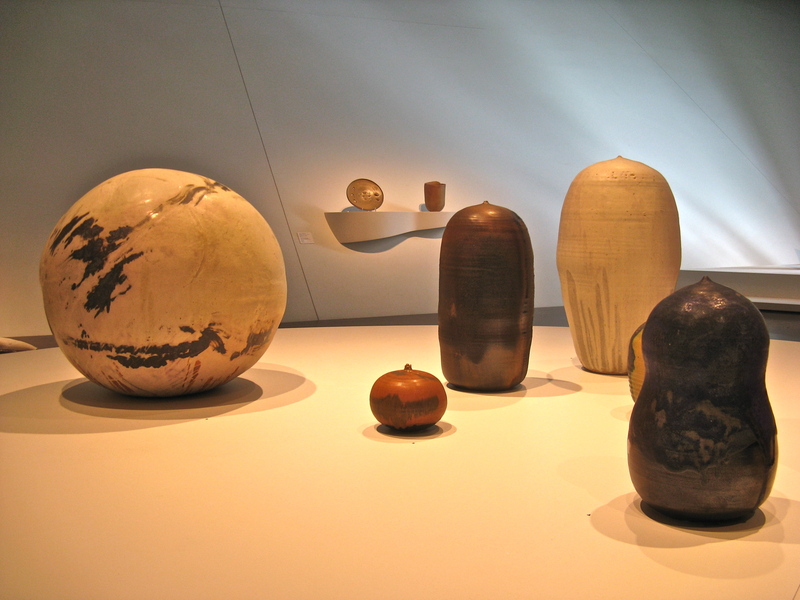 Instead, I’d like direct attention to another Chihuly controversy– his use of others to craft his designs. One Facebook poster thought it necessary to point out that since losing the use of his left eye due to a car accident, he is no longer the person actually blowing the art glass he is so famous for. ( In reality, Chihuly continued to blow glass for three years following the accident, until a body surfing incident dislocated his shoulder, so he was no longer able to manually manipulate the glass ). The poster’s statement that “His employees make everything. Just sayin’.” seems to somehow fault Chihuly for continuing to create in the only way he physically could, by having others help him. The artist himself has said that his role, more of a director, allows him better perspective on the work. As stated above regarding Gaudi, the practice of using assistants and apprentices to create monumental works of art has been done for centuries ( and yes, many of Chihuly’s creations are monumental in scope ). So as long as the artist himself continues to design the creations with his name on them, what’s the big deal? And what about so-called “production originals”? You might be thinking of the ones advertised as “hand painted original works of art”, usually being sold out of a hotel ballroom. But what I’m talking about are the production art studios– where perhaps one “lead artist” is creating original works of art, which are then being recreated & reproduced by the hand of “assistant artists”. There are more of these studios around than people realize and the work can be found in galleries, corporate and private collections all over the world. 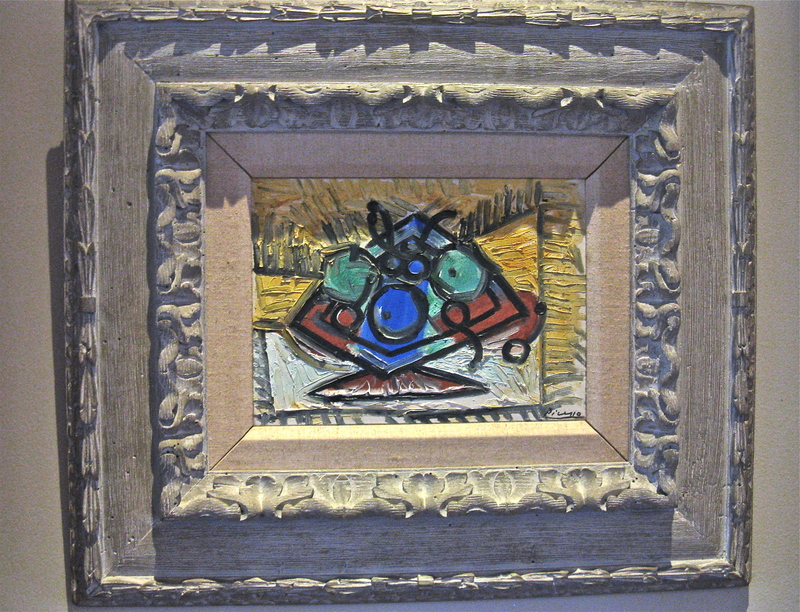 While the savvy gallerist, art consultant, designer and art afficionado knows production art when they see it, what about the collector who thinks they are buying a true original work of art, only to spot an almost exact replica when in their hotel while on vacation in Hawaii? Do we lump Chihuly in with these? These are three examples of artwork being completed and accomplished without the direct hand of the creator. What are your thoughts? Is it ever OK to put your name on something you didn’t actually physically create? This is definitely a gray area.. would love to hear your thoughts!